I have to admit that despite having been a vegetarian (no meat or fish) for more than ten years I love an easy (lazy) life and usually don’t put too much of an effort in to preparing my meals. However, this recipe for sticky sausage skewers which uses mango chutney as a glaze has been a revelation! If you are hosting any veggies this summer for a BBQ this is a recipe which is bound to go down well, and it’s easy to boot! First you make the marinade by combining your olive oil, lemon juice, mustard and mango chutney in a bowl. Once mixed thoroughly coat the Quorn sausages with the mango glaze and cut into bite sized pieces. 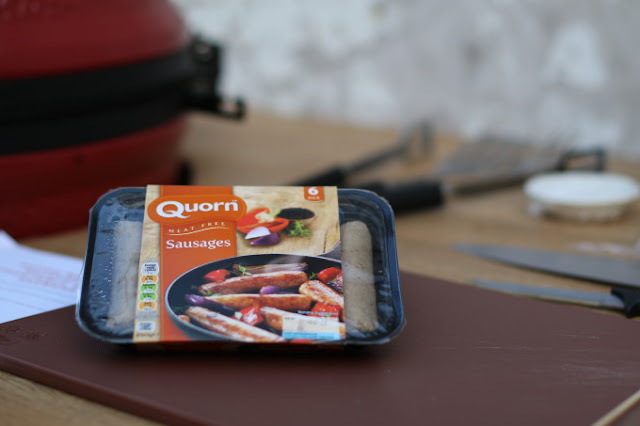 Now prepare the skewers by threading your vegetables onto your sticks, alternating with the Quorn sausage, onion chunks, peppers and tomatoes. 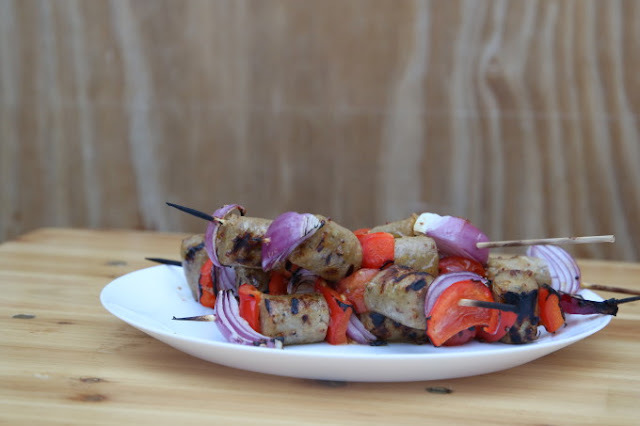 Pop the finished skewers onto your barbecue. Be sure to keep turning them until the vegetables are cooked and sausages are piping hot throughout. For extra flavour brush with any remaining glaze just before removing from the head.